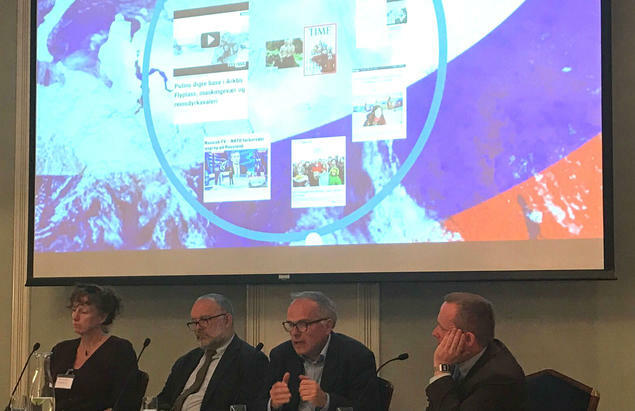 The conference, hosted by the Norwegian Research Council on 23 May, provided highlights and summaries from various research projects funded by the research programme NORRUSS, which deals with issues relating to Russia, the Arctic and the High North. 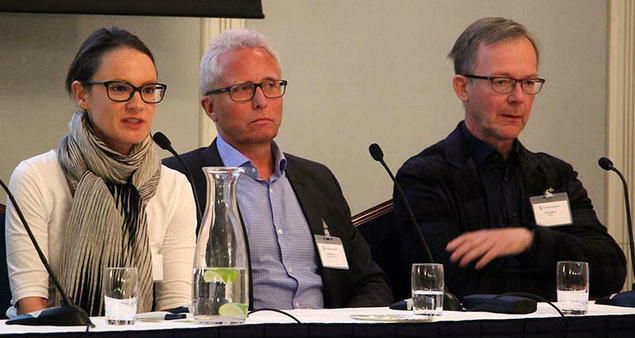 As the Fridtjof Nansen Institute has been involved in several NORRUSS research projects, FNI researchers gave presentations and participated in debate panels throughout the day. The conference was particularly timely and relevant, after the recent period when, even if the support for President Putin seems to be overwhelmingly high, there has also been greater political instability and demonstrations throughout Russia this spring. 'These events have shown that the opposition to the sitting regime in Russia is strong – surprisingly so, in view of the increasingly strict control measures recently taken by the government’, said Geir Flikke, Associate Professor at the University of Oslo. Flikke has led a research project (NEPORUS) which has documented how the Russian authorities have increasingly been cracking down on social movements and protesters. Political opposition, but also the more apolitical parts of the Russian civil society, are definitely experiencing much tougher times’, Flikke noted, highlighting the government’s strict laws on NGOs and much-debated ‘foreign agent’ legislation, as well as its ever-tighter censorship of the Internet. 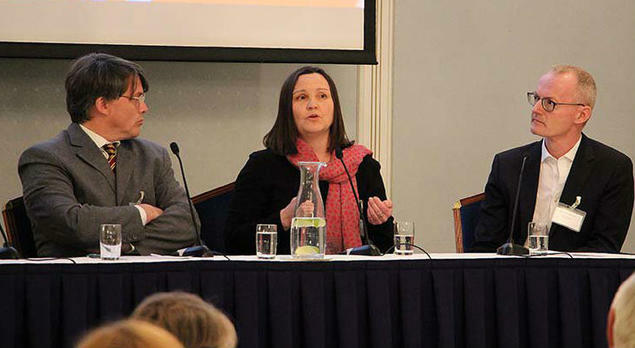 FNI Senior Research Fellow Anne-Kristin Jørgensen presented findings from the INSTARUSS research project, which has examined how Russians themselves experience and cope with the Russian state, its bureaucracy and the corruption encountered in everyday life. Jørgensen explained that, although petty corruption appears to be decreasing in some parts of the state apparatus (for instance within the infamous traffic police), bribery and other forms of ‘blat’ (the use of connections, networks, acquaintances, gifts and bribes) is still perceived as a necessity, particularly within the health and education system. Tellingly, Russia is currently ranked as number 131 (of 176) on Transparency International’s Corruption Perceptions Index, near troubled countries such as Iran, Kazakhstan and Sierra Leone. Jørgensen also mentioned another interesting finding from the project, namely that Russians still seem to face a fundamental, perhaps culturally determined, challenge when it comes to combating corruption. On the one hand our informants made it clear that they would have preferred it if their system were less corrupt, and many of them pointed to the Nordic countries as models. On the other hand, some informants underlined that Russians don’t want systems to be too rigid. Many of them say that they feel that the Nordic countries are exactly this, that there are no loopholes, no 'wiggle room', and that this doesn't always fit so well with the Russian mentality,’ Jørgensen explained. The NORRUSS conference provided insights from several other research projects as well. FNI Senior Researcher Arild Moe shared some findings on China’s relations with Russia and its ambitions in the Arctic (from the AsiArctic project), FNI Senior Researcher Lars Rowe contributed in a panel discussion on the frequently heated news coverage on Russian-related issues, and FNI Doctoral Research Fellow Julia Moe shared insights from a research project on people’s opinions about oil and gas activities in the Arctic, in Norway and in Russia. You can view a short video with highlights from the conference here.